The City of Pompano Beach will be celebrating July 4th with a Fireworks Extravaganza at the beach! of Indianapolis & Florida - 80, passed away peacefully, on March 26, 2018. Linda was born March 28, 1937 to the late John C. and Opal O. (Branham) Sanders who preceded her in death. She is survived by her beloved husband, James E. Lahr of 60 years. Daughters, Jennifer L. Adkins (Mike) and Sandra J. Hutzler (John); son, John S. Lahr, Sr (Kathleen); three grandchildren and a host of loving family and friends. Linda was a kind and loving woman who enjoyed traveling, volunteering, spending time with her grandchildren, and entertaining all of her family and friends. Linda will be laid to rest at Washington Park North Cemetery. Charles Ellington was born in Pompano Beach, Florida, where the E. Pat Larkins Center stands today. His family has been a part of Pompano Beach’s history since before it was incorporated. His grandfather, Tom Baker, arrived in Pompano Beach in May 1908, bartered for land, clearing it and farming. He built wooden houses Obituary on his property and rented them for out to other migrants moving into Pompano. Charles’ father, Julius Ellington, arrived in Pompano in 1918 following service in the Navy as a head cook. He opened a local restaurant; one of the few black-owned restaurants licensed at that time, and was known for providing free meals for those who was hungry. Charles is a product of the Broward County School system, graduating from Blanche Ely High School in 1958. He attended technical school after graduation, receiving a certificate in computers and word processing. He also attended Broward Community College. Charles Ellington worked as a warehouse Manager for H. B. Fuller for over 25 years. He owned and operated an elderly-care center for 20 years. Realizing a need for low-income housing, he established his own rental housing complex and in 2001 incorporated Hawkins Homes, Inc., which builds affordable housing. Mr. Ellington is a member of Mt. Calvary Baptist Church where he served as a Deacon. He is an active community volunteer through such organizations as the Pompano Beach Westside Kiwanis, Pompano Masonic #409 Prince Hall Affi liation, SABA Temple #186, where he was elevated to Grand Inspector General 33rd degree of the United Supreme Council. He also mentors young boys from the ages of six (6) to eighteen (18). Charles married his high school sweetheart, Emma. They were parents to ten (10) children who blessed them with 36 grandchildren and 14 great-grandchildren. Please join us for Fun, Food, Friends and Festivities at our annual Holiday Party! Come see the cottages all dressed up, spend some time with neighbors and friends and maybe talk a little about years gone by and the years to come..
Everyone is welcome. We will be serving heavy appetizers, you are welcome to bring a dish but it is not expected nor required. Christopher Mullon, one of Pompano’s most prolific volunteers and community champions, died on November 19. He was 70. A former ad man turned nature photographer, Mullon lived with his wife, Katy, in Pompano Beach for more than four decades, serving on numerous civic boards and political campaigns. Deeply devoted to Katy and his two sons, Jeremy and Lee, Mullon was a loving husband and father who inspired in his family the humble honor of helping others. Known for his honesty, quick wit and keen eye, Mullon became a trusted confidant of local leaders, helping with several city and state campaigns for political office and public support for schools, parks and the arts. For the past two decades, he served on the city’s Parks and Recreation Advisory Board as a member and former chairman. Mullon also was a past president of the Old Pompano Civic Association, a board member of the Pompano Beach Historical Society and a member of the Public Art Committee. Always an avid swimmer, Mullon was a varsity letterman at UF and member of the 1967 SEC championship swim team. In his civic life, he helped win public support for numerous recreational projects in Pompano Beach, including the city’s Aquatic Center. Mullon also volunteered as a youth swimming and baseball coach. Later in life, Mullon devoted his spare time to photography, combining Katy’s love of nature and her job as a children’s events coordinator at Broward County Library, into his own hobby. He photographed the library’s annual Storybook Festival and was an unofficial photographer at the historic Sample-McDougald House in Pompano Beach. Mullon’s photographs and stories also appeared in The Pelican Newspaper and other community publications. But his favorite work was from a boardwalk or the beach, capturing South Florida wildlife or the occasional candid of family members. In addition to his wife and sons, he is survived by his sisters, Elizabeth Fox and Marcia Reilley; brother, Bob Mullon; his daughters-in-law, Christine Mullon and Danielle Mullon; a granddaughter on the way, as well as numerous other in-laws, nieces and nephews. A memorial service will be held at Kraeer Funeral Home, 200 N. Federal Highway, on Saturday, December 9. The family will receive friends beginning at 1 p.m. leading up to a celebration of life ceremony at 3 p.m. The family suggests the Pompano Beach Historical Society for memorial contributions. The 8th Annual Casino - OKTOBERFEST! Can we top last year's Casino night? You bet! Once again we will be at the the historic Bailey Art Center in Old Downtown and we plan to wow you with music, dinner, wine, a biergarten, entertainment, music, raffles and of course the Casino! We have some surprises (and maybe some aces) up our sleeves! 6:00 pm - 11:00 pm; all for $75.00/ person which includes $200 worth of chips to play the tables. Extra chips may be purchased. Your winnings can be used for the raffle gift baskets. Grand Opening and Bean & Pepper Jamboree at the Green Market. An Old-Time Jamboree with a bean & pepper ribbon cutting, music, petting zoo, lots of kid's activities, more music, fresh produce, crafts, cooking contest (foods must include bell peppers or green beans) and a Chicken Drop Raffle! Don't miss it. 9:00 am - 1:30 pm. Ribbon cutting at 10:00. 2nd Generation Art Show at Bailey Art Center in Old Downtown. Come and meet these exceptional artists and be the first to see their paintings at this first ever Pompano show. These artists are carrying on the legacy of the original Highwaymen. Please join us for the annual Covered Dish Supper. Bring your favorite dish to share. (Or maybe even make it a practice run for your entry in the Green Market Cooking Contest... must contain a bell pepper or green bean).As always, you bring the dish, we supply tableware & beverages. Come and share food, friends and history. Don't miss the Pompano Beach Historical Society Tours of historic sites in Pompano Beach. The two-hour narrated tour includes familiar landmarks such as the Sample-McDougald House, historic downtown , the Hillsboro Lighthouse Museum and a number of "hidden" historic sites. The tour begins at Founders Park, 217 NE 4th Ave. Pompano Beach. You will have time from 9:00 - 10:00 to tour the Kester Cottages as well as check out the two antique fire trucks that will be on display! The bus departs at 10:00 am sharp. The tour will last for two hours and is fully narrated. There is one stop at the Hillsboro Lighthouse MUSEUM where you can stretch your legs. Seating on the trolley is limited to 27 people. Don't be disappointed, purchase your tickets early. Buy tickets right here, just click on the Historic Tour Tickets link and follow the prompts. Pay with a credit card as 'guest' We regret we cannot hold unpaid seats. Jean Blount Hogan, 95 of Pompano Beach, Florida passed away on Saturday, July 8, 2017. Jean Hogan was born in Pompano Beach Florida and resided in Pompano Beach most of her adult life. She was predeceased by her husband of 63 years Mr. G. B. Hogan, Jr.
Mrs. Hogan was a member of the founding families of Pompano Beach family. She is survived by a Son: Eric Hogan and daughter in law, Ann Hogan of Baton Rouge LA, Daughter: Sharon Lawson and son in law Ed Lawson of Stuart Florida, Grandchildren: Kristin Hogan, Katie Hogan and her husband Zbigniew Zarudzki. Visitation will be held at Kraeer Funeral Home, 200 North Federal Highway, Pompano Beach, FL 33062, (954) 941-4111 in the chapel, on Saturday, July 22, 2017 from 9:30 am until 10:00 am followed by a service from 10:00 am until 11:00 a.m. Burial will be held immediately following the service at Pompano Beach Cemetery. Arrangements under the direction of Kraeer Funeral Home and Cremation Center, Pompano Beach, FL. SAVE THE DATE!! OCTOBER 21ST IS CASINO NIGHT! YOU DON'T WANT TO MISS THIS ANNUAL EVENT. Our speaker will be Emily Marcus, CRA Project Manager. Emily will give an update on the CRA progress and plans for the Old Downtown Area. As always, we will have a social hour with food & drink followed by the presentation. We hope you will be able to join us. Merrill Eugene Pridemore passed away on June 26, 2017 at home surrounded by his wife and loving family. He was born on February 18, 1928 in the Pompano home were he took his first breath and his last. He had a very full life which included being the founding member of both the Sand & Spurs & Coral Springs Saddle Clubs. He was a Pompano Beach High School "Beanpicker" and was the oldest living charter member of the Pompano Beach Elks Lodge 1898. He was raised in Pompano when it was a small farming community where horses were the favorite mode of transportation. He was in the retail liquor business for 40 years as well as being very active in the real estate business. He and Julia were partners with Fred & Carolyn Applegate in the Old Timer Western Store for many years where everyone was welcome and the coffee was always hot. He was a member of the Pompano Beach Historical Society where he shared and contributed many stories and photographs of Pompano and it's history. He is survived by his wife Julia of 69 years, sons, Gene (Carol), Paul (Terri), his daughters, Karen (Keith) Patrick, Denise (Brian) Watson, Donna (Pete) Williams. As well as 16 grandchildren and 9 great grandchildren, (soon to be 10). He is predeceased in death by his grandson Justin Phillip O'Keefe, and twin granddaughters, Courtney Lynne and Caris Mae Pridemore. He will be deeply missed by all who knew and loved him. Visitation will be on Thursday, June 29th at Kraeer Funeral Home at 200 North Federal Highway, Pompano, 33062 from 5-8 PM. Services will be on Friday, June 30th, at First Baptist Church, 138 NE 1st Street, Pompano Beach, 33060 at 11 A.M. The Annual Meeting will be held just prior to the regular meeting on Wednesday, June 21st at 6:15. In compliance with the Society's by-laws, the Nominating Committee will submit the slate of Directors and three current Honorary Directors for election. All active members are encouraged to attend. Wednesday, June 21st at 6:30 we will hold a Round Table Discussion at the Hood Center. Please join us as we join together to relate stories on Pompano's History. It's a great time to get to know about Pompano as well as your neighbors. Who knows what secrets may be exposed! We will start with a pot-luck social hour at 6:30, followed by the discussion. We hope you will consider sharing one of your favorite dishes with us (maybe even one you submitted for the Centennial Cookbook). We will supply the beverages ans tableware. We are keeping the wall of our veterans up through July. If you have pictures of any of your family who served, please send us a photo so we may add them to our wall of honor. ON THIS MEMORIAL DAY WEEK-END, PLEASE TAKE A MOMENT TO REMEMBER THOSE FROM POMPANO WHO MADE THE GREATEST SACRIFICE. Wednesday, April 19th at 6:30 pm. Our speaker will be Pompano local, Paul Hurt. Paul will speak about his dad, who Pompano's first life guard. Please join us, maybe tell a story of your own. Social hour at 6:30 with refreshments and hot dogs, followed by the the presentation. March 15th is our monthly program. Join us as original Highwaymen Artist, Al Black gives us insight in what it was like to paint and sell Highwaymen paintings on the hot and unfriendly roads of South Florida. Starts at 6:30 with food and drinks followed by Mr. Black's presentation at 7:30. The Highwaymen are coming back for the 6th Annual Art show. Join us Saturday, March 18th at 5:30 pm for the Art Preview Reception at the historic Sample-McDougald House. Meet the artists and view their paintings, stroll the gardens under the stars while listening to the sounds of smooth jazz and be taken back to the times when these iconic artists started the "Indian River School" art movement. Heavy appetizers with wine, beer and soft drinks. Sunday, March 19th from 10:00 am - 5:00 pm. Admission is $5.00 per person, which includes a tour of the Sample-McDougald House. LOTS GOING ON IN JANUARY! We will have a speaker from the Ah-Tah-Thi-Ki Museum. Come see the exhibit beforehand so you'll know what questions to ask! SEMINOLE WAR EXHIBIT ALL MONTH LONG! Now through the first week in February, Tuesday - Thursday, 9:00 am - 2:00 pm; we will be hosting the Ah-Tah-Thi-Ki Seminole War Exhibit for the entire month! Come and learn about the great Seminole chiefs and warriors as the Seminole-Miccosukee Tribes celebrate the 200th anniversary of the start of the wars. Even more exciting that we are making history by joining with the Bailey Art Center and the Sample-McDougald House by showcasing three separate but related exhibits. This is the first time three historic and art venues in one city has collaborated in a exhibit like this. The BaCA (the old Bailey Hotel) is showing photographic images "Florida Seminoles in Postcards' from Ethnohistorian, Patsy West's collection in the Blooming Bean Coffee Shop. The display is opening on Friday, January 6th during Untapped. Stop in and see us to learn all about what we are doing! These incredible images will be open now through February 28th, Tuesday - Friday, 10:00 am - 6:00 pm and Saturdays 10:00 am - 4:00 pm. The Sample-McDougald House exhibit will open on Saturday, January 7th and run on their regular open house times through March 31st. They will be exhibiting 'A History of the Seminole-Miccosukee in Clothing' which features authentic Seminole clothing spanning 1800's up present day. The exhibit is also supplied by Patsy West. Sample Mc-Dougald House's hours are Tuesday - Thursday Saturday 11:00 am - 3:00 pm. The exhibits as The Historical Society are free to the public; although donations are always welcome. The Sample Mc-Dougald House will charge their normal tour fee of $5.00, which includes the full house tour and the exhibit. This is an unique opportunity. Make a day and visit all three venues, you could walk them all if you wanted! If you missed November's meeting, Emily has provided a synopsis of her presentation. I think everyone appreciated the interesting and informative program. We hope to have her come and speak again early next year. Thank you again, Emily! The main takeaway is that the CRA is beginning a series of major projects in the NWCRA district. We are working to rebuild a vibrant and active downtown for the residents of Pompano Beach. We are looking to both the past and the future for inspiration. We are also drawing on the existing strengths and assets in the community, building relationships and partnerships among and between community groups, schools, universities and local businesses. In doing so, we hope to aid in the creation of new job opportunities in Pompano Beach and ensure that our residents have the necessary skills to qualify for these jobs. - Completing a new European-style Public Plaza and adjacent parking lot (new permanent home to Green Market) and streetscape improvement projects along MLK Blvd. and in Old Town. - Seeking restaurant and culinary tenants, with two new leases already signed (expect grand openings starting in Summer 2017). - Opening a Public Engagement office directly next to BaCA (37 NE 1st st). Members of the public are encouraged to stop by and talk to CRA staff about any questions they may have about ongoing and future projects. (Early 2017 opening). - Breaking ground on new residential projects including the recent groundbreaking of City Vista Landmark on MLK Blvd. The weather could not have been nicer. The setting was beautiful. The sun was bright. I was going to write about Judy's Celebration of Life, but I received the following from Cindy Malaney and she agreed to let me share it. I was quite touched by the wonderful Celebration of Life Ceremony held yesterday for my friend, Judy Knoebel. The Pompano Historical Society hosted it at the Hood Center in Founders Park. The service was held outdoors while the sun was setting and the chairs were facing an oak tree which was recently planted in memory of Judy. There were numerous speakers including two of her nieces. The mayor of Pompano Beach gave a talk too (Judy touched many people). She volunteered for so many organizations and had representation from the (Pompano Historical Society, Hillsboro Lighthouse Preservation Society, Pompano Women's Club, Insight for the Blind, Bonnet House, etc.). She won many certificates and awards for her years of volunteering. She was a wonderful neighbor to my family and me. Recently she wrote a recommendation letter for my daughter for a college academic scholarship (I don't know how she had time to do that with her busy schedule). As everyone at the ceremony said, Judy always had a great smile on her face, enjoyed every minute of her life to its fullest, and did so much for others. Thank you to the Pompano Historical Society for putting on this celebration of Judy's life. It was perfect in every way (the delicious refreshments, the printed programs, the speakers, the oak tree, the photos and awards that were on display, etc.). I compiled a photo collage of the ceremony. You can see the beautiful oak tree planted in her name. I plan to come by often and to see it grow in the coming years. Also there are two bricks which will be placed at the Hillsboro Lighthouse and at the Pompano Historical Society. I will continue to volunteer at the Lighthouse Museum which she opened years ago. I hope everyone can come by to visit it sometime and remember Judy. Please come and celebrate the life of Judy Knoebel. Judy gave so much to our community and will be missed by many. Please call Pat at 954-782-3015 for more information. We are very saddened to say that friend and Historical Society Board Member, Judy Knoebel passed away last night. She was surrounded by family and dear friends, Linda and Jim. Her hospital room was decorated with paintings of her beloved lighthouse and ocean scenes. Judy will be missed by so many. Our prayers and thoughts are with her family and her many friends around the world. Following is copied from The Pelican. Thank you Ann Siren for a beautiful tribute. Judy Knoebel, 72, died this week after a short illness. Ms. Knoebel, who retired from a 31-year career with AT&T that spanned New Zealand; Brussels, Belgium; Geneva, Switzerland, and Atlanta, Ga., chose to settle in Pompano Beach. The following is composed from excerpts of a 2013 interview with Ms. Knoebel, who spoke with Pelican Knoebel writer, Phyllis Neuberger. “Volunteering was a way to make new friends and get the feeling of really living in the area. It works well for me, and like most volunteers, I receive more than I give.” Knoebel said after returning from the newly opened-Hillsboro Lighthouse Museum, where she volunteered as manager. This job had not been her first in the volunteer arena. Ms. Knoebel gave tours at the Bonnett House in Fort Lauderdale. “As I drive six visitors around in a golf cart type vehicle, they and I enjoy the 37 acres of nature and watching the people and the monkeys,” she said. The Pompano Beach Historical Society was a natural draw for Knoebel where she served over 10 years as a volunteer and seven years as treasurer of the Society. On Saturday mornings, Ms Knoebel could be found at the Historical Society Green Market tent, greeting visitors with her wide smile. And it was at the tent that she sold Florida farm nuts, jellies and jams to support the Society. She was part of the Society’s team to find and tape oral histories from pioneers. Ms. Knoebel sat on the Pompano Beach Historic Preservation Board, a group that identified, documented and registered historic buildings and places to preserve for future generations. At the time of her interview she had volunteered 1,600 hours at Insight for the Blind as a reader and recorder of magazines and books. Children were also recipients of Ms. Knoebel’s outreach. In conjunction with the Broward Library System’s Prime Time Reading Program, she read to preschoolers. The Pompano Beach Historical Society will host a celebration of life to honor Ms. Knobel. The date has not been announced. Ms Knoebel is survived by two brothers. She is predeceased by a sister. Pompano Beach Historical Society's Treasurer and friend to many, Judy in in hospital at North Broward Medical Center after surgery of a fractured hip. Please keep her in your thoughts and prayers. We also would like to send Birthday Wishes to her on her birthday Friday October 14. Happy Birthday Judy! Please join us Wednesday, October 19th at 6:30 for our monthly program. This month Whitney Metevia, President of the Pompano Beach Rotary Club, will be speaking on the history of this charitable organization. They support many worthwhile causes both at home and internationally. The Pompano Beach Rotary Club is unique in that it was chartered in the midst of the Great Depression when all had nothing. But the first members knew that for our community to survive they needed to band together. And don't forget about the amazing Haunted House the Rotary Club hosts at the Sample-McDougald House! Maybe we'll hear a few ghost stories too! Casino night was a great success. A good time was had by all. The food by Eddy's Chef Catering was delicious! The Caipirinha's made by Tara were amazing! The show by SambaLa was exciting! Thank you to all out wonderful sponsors, guests, volunteers and the Board of the Pompano Beach Historical Society who made it all possible. We would also like to give a nod to Paulo Gualano The photo of the three beautiful Samba dancers are from his dance group Bateria Unidos de Miami and was taken at last year's Brazillian Fest. Pompano Beach Historical Society will be hosting its 7th annual fundraiser on Saturday October 1st. In honor of the Olympic Games, this year’s theme is ‘Casino Night in Rio’. The party starts at 5:30 with a Caipirinha, Brazil’s national drink, followed by an authentic Brazilian dinner buffet. The guests will then move to the street for a spectacular live Brazilian show. After the show, the patrons may move to the west gallery for coffee and dessert or move straight to the second floor casino. Tickets are only $75.00 per person and include 200 chips to be used on the gaming tables. Your winnings can then be used towards winning gift baskets that will be on display. Extra chips will be available for purchase. There will also be an auction with some special items to be won by the highest bidder. Limited Seating. Don't wait to purchase your tickets! You do not want to miss this event! Summer will be over sooner than you think, so start combing through those recipes. Wednesday, September 21st we will host the Traditional Covered Dish Supper. A great time to catch up with all your neighbors and friends after the summer break and talk about plans for the coming season. This event is open to everyone, all we ask is you bring a dish to share and, if not a secret, the recipe. We will supply the beverages and tableware. Regardless of the topic, Helen Landers seemed to know it all about Broward County and was a go-to source for history buffs for decades. Landers, the county's second and last official historian, died at her Fort Lauderdale home on Sunday, according to friends and family. She was 93. "She was a delightful person," said Dan Hobby, the former director of the both the Fort Lauderdale and Pompano Beach historical societies. "First of all, she had the most delicious sense of humor. She could be talking about history or government or a public event and people would be laughing. She oftentimes seemed irreverent. But she was very serious about history." Landers became the county's second official historian in 1990 for the Broward County Historical Commission, which reported directly to the County Commission. As historian, she organized oral histories, presentations of pioneers, she ran luncheons where she'd lecture on various topics, and was a resource "for anything to do with the history of the county," said Steve Glassman, former chairman of the historical commission. "She was the go-to person of the history of Broward County." For the time she was there, it was a job her family and friends said she adored. "I've lived in Broward County a long time and I've seen a lot of history and lived a lot of history," Landers told the Sun Sentinel in 1990, when she was considered for the $7,000-a-year job. Landers' family moved to Fort Lauderdale from Springfield, Ill., in 1926, in a trip that took days, puttering along in a Model T Ford. There were no roadside motels, no fast-food restaurants. The family slept in tents pitched by the side of the road or in tourist camps. Landers was 3. They arrived in October 1926, as South Florida was mopping up from the Sept. 17 hurricane that had killed hundreds. She told the Sun Sentinel in 1999 that her early memories were of adventure. "You woke up feeling that every day was a new day here and anything could happen," she said. Landers studied education and history, receiving a bachelor`s degree from Florida State University and a master`s degree from Baylor University in Texas. She was the principal at the now-closed Fern Hall Private School in Fort Lauderdale, the city's first private school, which her mother had built, and before her county appointment was director of education at the First Methodist Church in downtown Fort Lauderdale. When she drove her children around town, they'd often get a history lesson. "Mom just loved history and she loved Fort Lauderdale and Broward County," said her son, James Landers. "She watched it from its infancy and its development over the years. She got underneath the surface and talked about the interesting facets and parts. She knew where all the bones were buried." In 2010, during the economic downtown, the agency lost its independence and reported to the county's library director instead. In 2013, her job was eliminated to pay for a new library digitalization program. In 2014, the agency was disbanded and replaced with the Broward County Historic Preservation Board. "There is still no county historian," Glassman said. "She was most valuable. She was one of a kind." 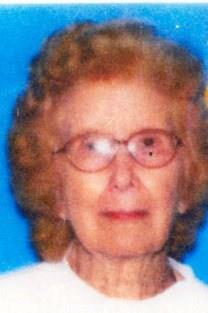 In addition to her son James Landers, of Tampa, Landers is survived by her husband of 70 years, R.L. 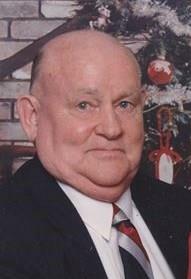 Landers; son Robert Landers, of Lawrenceville, Ga.; one grandchild and one great-grandchild. The City is working with Broward County to complete a mural as part of the County’s VisualEYES Program. Artist Cecilia Lueza is required to complete Community Engagement Activities and would like to include the Historical Society in this process. We ask if you would like to join us in assisting this artist fulfill her mission. The meeting should take about 1 hour. She will use what she learns to help her create a mural on the E Pat Larkins Center. SAVE THE DATE! CLEAR YOUR CALENDAR FOR SATURDAY, OCTOBER 1. IT'S GOING TO BE A CASINO NIGHT LIKE YOU NEVER THOUGHT POSSIBLE! MICKLER, Mary Cramer age 85 of Pompano Beach, Florida passed away on July 9, 2016. She was born November 27, 1930 in Ft. Myers, Florida to Francis H. and Pearl Cramer. She was a Pioneer resident of Pompano Beach, Fl. 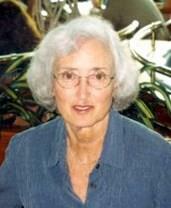 Mary is pre-deceased by her husband Revis A. Mickler and her son Scott Cramer Mickler and great grandson Riley Maynard. She is survived by her sons Robert Mickler (Susan) of Pompano Beach, FL., Douglas Mickler (Barbara) of Vero Beach, Florida and Pete Mickler (Catherine) of Franklin, NC; Visitation will be on Saturday, July 16, 2016 from 10-11 am at First Baptist Church Pompano, 138 N.E. 1st St. Pompano Beach, Fl 33060 with a Funeral Service at 11 AM followed by burial in Pompano Beach Cemetery followed by lunch and refreshments at the First Baptist Church Pompano. In lieu of flowers donations may be made to Lord's Gift House at First Baptist Church Pompano. Arrangements under the direction of Kraeer Funeral Home and Cremation Center, Pompano Beach, FL. We are sad to tell you that long time Pompano resident Leon 'Babe' Walton passed away on July 3 surrounded by his family. The family will have a private service at a later date. Our thoughts and prayers are with the Walton and Whitsett families. Pete William's nephew, Justin O'Keefe, lost his battle with cancer early this morning. Justin was diagnosed with brain cancer in 2014. He had emergency surgery in May of that year and had been undergoing rigorous radiation and chemotherapy treatments since then. Pete and Justin's family thanks all of you for all for your prayers, blessings, and good thoughts. We will meet at the Hood Center between 5:00 - 5:30 to board the bus at 5:45. Please do not be late. You will not be allowed entry to the Lighthouse unless you are on our list. June’s program is a Sunset Tour of the Hillsboro Lighthouse . Due to a scheduling conflict, the date has been pushed back a week to Wednesday, June 22 from 6:00 to 9:00 pm. There will be a charge of $10.00 per person. This is to help cover costs, including bus transportation to and from the Hood Center to the Lighthouse. We will also have one of the Lighthouse cottages available for our use. There will be no parking available at the Lighthouse, we will meet at the Hood Center; the bus will depart the center at 5:45. If you need to make arrangements for Handicapped Parking we will need the information as soon as possible. Due to space and to ensure everyone will get a chance to tour the Lighthouse, we need to limit this program to members and cap the count at 50 persons. The Lighthouse was first illuminates in March 1907 following a 4,000-mile trip through part of the waterway known as 'The Great Loop’ The original light was an incandescent Oil Vapor Lamp (similar to a “Coleman Mantle Lamp”) in a revolving Second Order Fresnel Lens. A Lighthouse (head) keeper and two assistant keepers kept the light lit. In 1932 the light was electrified with three 250 watt bulbs which were replaced in 1966 with one 1,000 watt increasing power to 5.5 million CP and a range of 28 NM. The light is the only working Fresnel lens in the world. The lighthouse's nickname is Big Diamond due to the structure’s distinctive shape of glass outside its lantern room. ON THIS MEMORIAL DAY WE REMEMBER THOSE FROM POMPANO WHO MADE THE GREATEST SACRIFICE. Shelle Griffin Davis, 53, died on Saturday, May 21, after a two year battle with leukemia. She left this world with her family and close friends at her side at her Pompano Beach home. Mrs. Davis is the daughter of former Pompano Beach Mayor Bill Griffin and Arlyne Griffin and beloved wife of Brad Davis. She is mother to Kaitlyn Kerr and Kristopher Kerr [Angel] and Griffin Davis and sister to Craig Griffin. She is grandmother to Mason Delahoz. Mrs. Davis graduated from Cardinal Gibbons with honors, worked as an aide at McNab Elementary School and was a member of Bible study at Christ United Methodist Church in Pompano Beach. A vivacious woman all of her life, she cherished her family and her community. Services for Mrs. Davis will be private. Family members have requested that in lieu of flowers, donations be made to Hospice by the Sea; Miami Sylvester Cancer Center or the Leukemia Society. Unfortunately we had to cancel our May program due to the flooding of our parking lots and the streets adjacent. We were all disappointed. We plan to show the movie another, maybe after the rainy season over ;). We will let you know when. Whitworth, Josephine M. age 86 of Delray Beach, FL passed away on May 9th, 2016. Born in Cuyahoga Falls, Ohio, she was a longtime resident of Pompano Beach, working with the family farming business. Predeceased by her husband, John I. Whitworth, Jr. she is survived by her children: John I. (Mary) Whitworth III, Cathy W. Lee, Thomas I. (Carol) Whitworth, and Wade Glenn Whitworth; by grandchildren: Melissa, Jamie, Christy, Quad, Glenn Jr., and Savannah; and by numerous great- grandchildren. Visitation will be 9:30-11:00 am Thursday, May 12th with an 11:00 am Celebration of Life Service at the Christ Church, United Methodist of Pompano Beach. Josephine will be laid to rest in the Pompano Beach Cemetery. Arrangements were made by: Kraeer Funeral Home and Cremation Center, 200 N. Federal Hwy., Pompano Beach, FL 33060. Phone: 954-941-4111.
ball greats; Mickey Mantle and Roger Maris and William Frawley (you probably know him better as Fred Mertz). Prizes for those who can identify the most Pompano locations in the movie. A big thanks to Bruce for suggesting this great program! Social starts at 7:00 pm with Ballpark Hot Dogs, Popcorn and CrackerJacks! Join in the Centennial Celebration the of the Sample-McDougald House with a "down home" gala. Entertainment, beverages, and lavish BBQ cooked on site by Porky & Beth. Silent art auction and live auction by guest auctioneer Mayor Lamar Fisher -- win a ride for two on the Goodyear Blimp or a long weekend at A Tranquil Landing in Hopetown, Elbow Cay, Abaco, Bahamas. Tickets are $100. and must be purchased in advance. Go to samplemcdougaldhouse.com to purchase tickets. The celebration continues on Sunday from 10 am to 4 pm with Family Day. Bring the family for hands on activities, pony rides, petting zoo, arts and craft demonstrations and more. Admission $10. with children 12 and under FREE. We will have a booth in the pavilion showcasing some interesting memorabilia and delicious goodies for sale from the Farm Bureau from Pompano's history. Stop by and say hi! No reservation required. Born and raised in Pompano Beach, FL, passed away on February 17, 2016, in Fayetteville, Ga at the age of 80. He was born to the late Mary Christine and George Ervin Robertson. He was a Beanpicker, class of '55 and served two years in the U.S. Army. John retired from FPL after working there for over 20 years. He was a founding and lifetime member of the Fort Lauderdale Coin Club. John is lovingly remembered by his wife, Jackie Robertson; his children, Nancy, Gail, John, and Frances; grandchildren, Barry, Jr., and Julie; and sister, Jeanette. John was preceded in death by brothers, Jim and Ervin, and sisters, Harriet and Dorothy. A memorial gathering will be held on MONDAY, May 2, 2016, from 4-5 p.m. followed by a service from 5-6 p.m. at the First United Methodist Church - CHAPEL in back (210 NE 3rd St, Pompano Beach, FL 33060). Sympathies are extended to Tom Curran on the loss of his mother, Evelyn Curran. Our thoughts and prayers are with Tom and his family. Pompano Pioneer, E.L. "Bud' Garner, resident since 1927, Official Pompano Historian, Farmer and Salesman passed away yesterday April 21. Bud was 9 months old when his family moved from Edwardsville Alabama to Pompano. He graduated from Pompano Beach High School in 1948. He would have graduated sooner but he left school at 16 to join the Navy. In 1949, Garner married his wife, Doris. They had for children, one of whom has passed, seven grandchildren and four great-grandchildren. Garner penned his own book about the early days of the city, Tales of Old Pompano, with proceeds benefiting the historical society. He will be missed by all. Our thoughts and prayers are with his family. or The Hillsboro Lighthouse Preservation Society. Artist Lee Krull is a self-taught Florida artist who has worked as a commercial artist as an illustrator and layout artist for 35 years. Since 2011 she has been creating fine art working in oil and watercolor. She has exhibited in juried art shows and won awards from Ft. Lauderdale to Jupiter. She has also received a grant for art in public places and has been commissioned for her work. For more about the artist see www.leekrull-artist.com. Art will be available for purchase during the exhibit and will remain on display throughout the month of May. Light refreshments will be served. A $5.00 admission applies. Pompano Pioneer, John Robertson, passed away on February 17, 2016. John was a Beanpicker, class of '55. His family is planning a memorial for Monday, May 2 at the United Methodist Church. The memorial will be from 4:00 - 5:00 pm followed by a service from 5:00 - 6:00 pm. When we receive more information, we will pass it on to you. The family has asked that in lieu of flowers, donations be made to the Pompano Beach Historical Society. We thank them for thinking of us at this very difficult time. The speaker for our April 20th meeting has been confirmed! We will have a presentation by Sally J. Ling at the Hood Center. Ms Ling is an author living in the South Florida area. She has written hundreds of articles for South Florida magazines and was a special correspondent for the Sun Sentinel for four years. 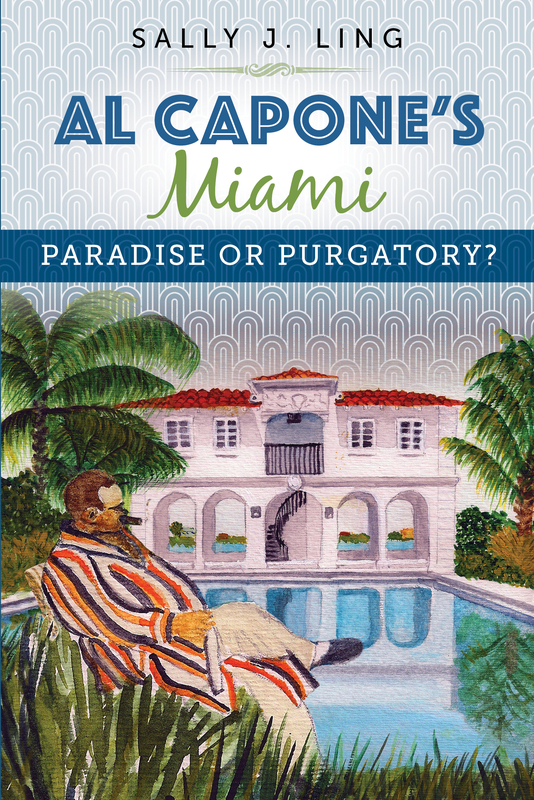 She will discuss her latest book, 'Al Capone's Miami: Paradise or Purgatory.' She will will have copies of her book available for purchase. Broward County Pioneer, Cornelius Romaine "Neal" Vinkemulder, 82, of Coconut Creek, FL, passed away on Friday, April 1, 2016, at North Broward Hospital in Pompano Beach. He leaves his wife of 56 years, Joyce (Harper) Vinkemulder; his son, James "Jim" Vinkemulder of Coconut Creek, daughters Linda "Harper" Vinkemulder of Boston, MA; Carol Ann Vinkemulder-Hamel and her husband, Paul, of Coconut Creek. 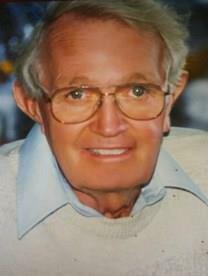 He was predeceased by his son John "Jack" Vinkemulder. A viewing will take place on Wednesday, April 6, 2016, from 6:00 to 8:00pm at Kraeer Funeral Home, 200 N. Federal Hwy, in Pompano Beach. A memorial service will be held on Thursday morning, April 7, 2016, 10:00AM, at the First Baptist Church, 138 NW 1st Street, in Pompano Beach. In lieu of flowers, the family requests that donations be made to the Rotary Scholarship Fund, P.O. Box 94, Pompano Beach, FL 33061, in memory of Neal Vinkemulder. The Pompano Beach Historical Society's Jerry Bowman presented the City Commission a plaque of the 14 recognized sites on the Local Register of Historic Places at the Commission Chambers on March 22. Two of the sites are also listed on the National Register* - The Indian Burial Mound and The Sample-McDougald House. Our friends and 'historical' neighbors at the Alice B & JD Butler House are having their annual fundraiser dinner this Thursday, March 24. OUR SYMPATHIES GO OUT TO THE FAMILY AND FRIENDS OF WILLIAM JAYCOX. Jaycox, William Dickson (Clancy), 84, of Pompano Beach, passed away February 23, 2016. Bill was born February 13, 1932 in Chicago to the late Dickson and Mary (Miller) Jaycox . He served his country honorably during the Korean Conflict and was discharged as a Corporal. Upon his discharge, he was awarded the National Defense Service Medal. Bill may have been best known as the other half of Santa & Mrs. Claus, where he and his late wife rode atop the fire engine in the Pompano Beach Yuletide Parade. He was also known as Clancy – The Irish Troubadour, singing Irish songs at concerts during the week of St. Patrick's Day. In 2004, Bill composed the song, Florida's Pompano Beach and it was proclaimed the official song of the City of Pompano Beach. He and his wife, touched the hearts of many children across Southern Florida, he gave them hope and promise for a better future. Bill was predeceased by his beloved wife, Joanne on May 29, 2014 and grandson, Officer David Aaron Haynes, sibling, Mary Catherine McCarthy, Richard Jaycox, Anna Mae Cole and Thomas Jaycox. He is survived by his daughter, Janet Evans and grandson, Hardin Thomas Haynes, great grandsons, James and Thomas Haynes and brother, Joseph Jaycox. A Celebration of Life Service will be held Thursday, March 17, 2016, 10:00 am at Forest Lawn Funeral Home North, 200 West Copans Road, Pompano Beach where he will be interred with his wife. Big and some were small. But none had been so Pretty. None had suited Me at all. Home is here in Pompano Beach! Click to read write-up on Bill in the Pelican Newspaper. HISTORIAN AND EXECUTIVE DIRECTOR OF SAMPLE-MCDOUGALD HOUSE, DAN HOBBY RETIRED FEBRUARY 24 AND WHAT A PARTY IT WAS. The name is synonymous with Pompano Beach; if you need or want to know anything about the history of the city, he's the man to go to. For that matter, anywhere in Broward County. He may have retired but luckily for the Sample-McDougald House and the Historical Society he plans to still be available to share the wealth of knowledge garnered over a forty plus year career as a historian, historical society's and museum's director and an author. Dan's retirement was an impressive event held at the Sample-McDougald House and the city turned out in force, including the Mayor, to honor him for his service to the City of Pompano Beach. If it wasn't for him, there might not have been a Sample-McDougald House to hold his party. He was instrumental in the move and refurbishment of the house in 2001. Originally from St. Petersburg, FL, Dan moved to Pompano Beach in 1979 after completing his Master of Arts in History at University Of Florida. He taught at Broward Community College, then moved on to become the Executive Director of the Ft. Lauderdale Historical Society, the Pompano Beach Historical Society and until his retirement, the Sample-McDougald House Preservation Society. As both a historian and author he has published books on Pompano Beach, Lighthouse Point and Fort Lauderdale, as well as writing articles for the most of the local papers and magazines. I think I can speak for all in wishing Dan all the best in his retirement and his "new position" coaching his granddaughter's soccer team. The Sample-McDougald House Preservation Society is proud to announce and welcome Melissa May as the non-profit organization's new Executive Director. She brings to the SMHPS a strong background in museum management, having served as the executive director of the Pricketts Fort Memorial Foundation in West Virginia, where she managed a living history museum representing 18th century life on the frontier. She also has held museum positions at the Ah-Tah-Thi-Ki Seminole Tribal Museum as well as the State Museum of West Virginia. Ms. May has served in a number of leadership roles within the museum field, including president of the West Virginia Association of Museums. She is replacing current executive director Dan Hobby, who will be retiring after 15 years with the SMHPS and over 35 years in the museum field. As the organization's initial executive director, he oversaw the moving, restoration and opening to the public of the historic Sample-McDougald House. Ms. May will be responsible for providing strategic leadership in the on-going operations and future developments at the landmark Sample-McDougald House and Museum. 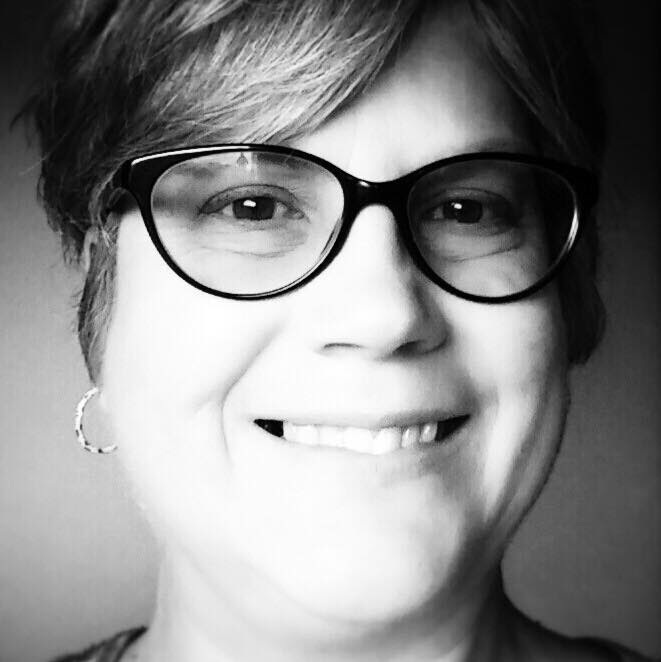 Dirk DeJong, SMHPS board president, stated "We are extremely excited to welcome Melissa May to the organization, and look forward to her building on our existing strong foundation to take this organization to the next level of service to the community." Our February 17th Meeting at the BaCA Building was interesting, informative and so much fun! Ms. Emma Ellington, President of the Pompano Beach Women's Club, and her childhood friend, Katie Wiggins were our featured speakers. Ms. Ellington and Ms. Wiggins were born and raised in what was called 'The Projects' and they shared stories of a time and place many of us didn't know. They told stories of snakes and alligators, working on farms and building businesses. All the stories were compelling and insightful; we could easily have listened longer. Although I must say the visual aids and the way they were able to 'draw' us right into the stories with that map was the high point of the night! Thank you again ladies; it was a wonderful night. Thanks also to Sarah Benichou and Grace Gdaniec for allowing us to hold our meeting in the gallery room. We were lucky to have a preview of BaCA's latest exhibit 'What's Your Story" featuring photographs and stories of the people of Pompano's black community who helped shape this city. It is definitely worth seeing. The Opening Reception for the exhibit was on Thursday, February 25th. The photos will be available for viewing through March 16. On Sunday, March 6, the Hillsboro Lighthouse Preservation Society celebrated the 109th anniversary of the Hillsboro Lighthouse and unveiled the new Florida Historical Marker, dedicated to all the local lighthouse keepers. The weather could not have been better. If you missed the birthday celebration there are plenty of chances left to receive your award for surviving the 175 step climb to the top of the lighthouse. The Lighthouse was first illuminates in March 1907 following a 4,000 mile trip through part of the waterway known as 'The Great Loop' The original light was an incandescent Oil Vapor Lamp (similar to a “Coleman Mantle Lamp”) in a revolving Second Order Fresnel Lens. A Lighthouse (head) keeper and two assistant keepers kept the light lit. In 1932 the light was electrified with three 250 watt bulbs which were replaced in 1966 with one 1,000 watt increasing power to 5.5 million CP and a range of 28 NM. The light is the only working Fresnel lens in the world. The lighthouse's nickname is Big Diamond due to the structure’s distinctive shape of glass outside its lantern room . Call 954-942-2102 or email info@hillsborolighthouse.org for more information. The Hillsboro Lighthouse Preservation and the United States Coast Guard work together to preserve and promote this historic landmark. Our March meeting will be on Wednesday, March 16. Doretha Hair Truesdell will be our speaker! Ms Truesdell is the widow of Alfred Hair, and the sister of Carnell Smith, both original Florida Highwaymen. She will speak on what it was like to have the birth of the Highwaymen Movement take place in her own back yard. A Highwaymen artist herself, she will also show her own paintings in The Florida Highwaymen Exhibit and Art Sale at the Sample-McDougald House, which is also celebrating their Centennial year! We will be back home, at the Hood Center for this meeting. 7:00 pm social with refreshments followed by Ms. Truesdell's presentation. The Pompano Beach Historical Society will present a plaque listing the 14 Registered Historic Places located in Pompano to the City Commission on March 22 at 7:00 pm. All are welcome to attend. The Green Market is growing and getting better and better. We have fresh organic produce and another stand with fresh berries. The March Trolley tour is sold out, but still have seats for other dates and they are still only $15.00 per person. Tour starts at the Pompano Beach Historical Society at Founder's Park where you can tour the Kester Cottages from 9:00 until boarding the bus at 10:00. The two-hour narrated tour will include the Sample-McDougald House, Old Downtown, the Hillsboro Lighthouse Museum as well as a number of 'hidden' historic sights. Still have company from up north? Call Judy at 954-609-7974 for more information.